I know it looks more like a sport's headline, but I couldn't resist. 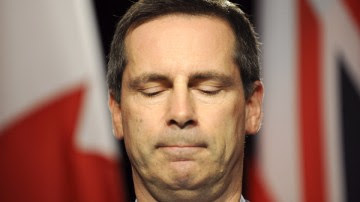 As the Ontario by-election voters went to the polls today in Vaughan and Kitchener-Waterloo, I kept thinking of all the reasons why Dalton McGuinty should get a resounding humiliation for a long list of broken promises, manipulations, and downright dirty politics. 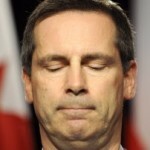 The first that comes to mind is the Ontario Health surcharge that rears its ugly head every year at tax time – the campaign that brought McGuinty to power promised never to do that, and then did.